Saragossa is a private game reserve tucked away between mountains and rolling grassland in Mpumalanga’s Elands Valley. 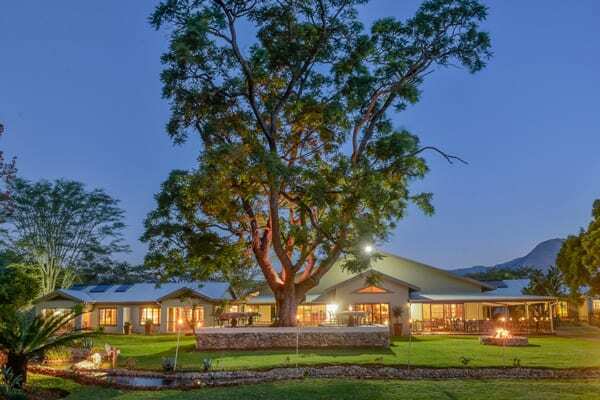 It is located between Johannesburg and Kruger Park – ideal for international visitors to start or end their journey in South Africa and for locals for a relaxing getaway. The professional and personal commitments of modern life challenge each and every one of us and often wear us down. Once in a while we need to escape from this web of obligations. We carry with us burdens of the past and fears for the future, but rarely do we take time to savour the delights of the moment. At Saragossa you will re-discover the beauty of nature, its scents, its sounds, its silence. 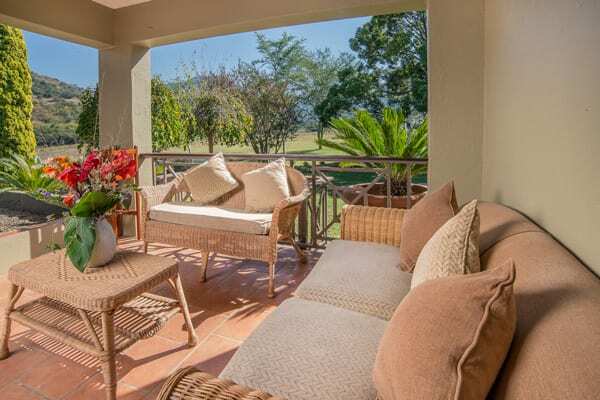 Feel the early morning sun caress your skin as you watch the veld awaken to a new day. Marvel at the wide-open spaces from the crest of the Saragossa mountains at noon; watch hippos at play in the dams; gaze at the glistening mountain streams meandering over rocks and pebbles. Smell the flowers of the Acacia trees in the course of a leisurely stroll or a vigorous hike. Breathe the fresh scent of rain after a dazzling afternoon thunderstorm, when lightning illuminates the russet slopes of the escarpment. The setting sun paints a vermilion sky. One by one the sounds of night fill the air: the crackle of a wood fire, the chatter of thousands of frogs, the hooting of owls in the trees. And above, a star-studded sky. Time slows down, you can connect with yourself and the world around you. We at Saragossa seek to be in harmony with ourselves, our land and our fellow human beings. We treat our environment and resources with respect. Most of our produce is cultivated organically and we aim to be self-sufficient. We protect the environment by using solar power, combating invasive alien vegetation, recycling waste and rehabilitating endangered flora and fauna. Let us share with you the harmony and bliss of this magical corner of the earth. Our lodge, the heart of the reserve, is surrounded by dams, streams, savannah and bushveld. 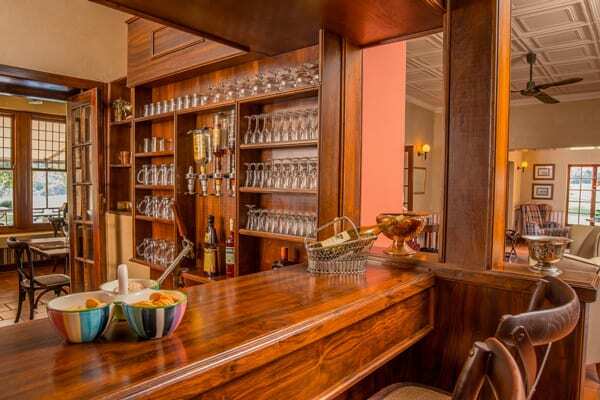 The original homestead, built in the 1920s, was recently restored to preserve its old-world atmosphere and original charm. In keeping with the grand colonial style of the lodge, all suites and rooms are decorated with the same understated elegance of bygone years. 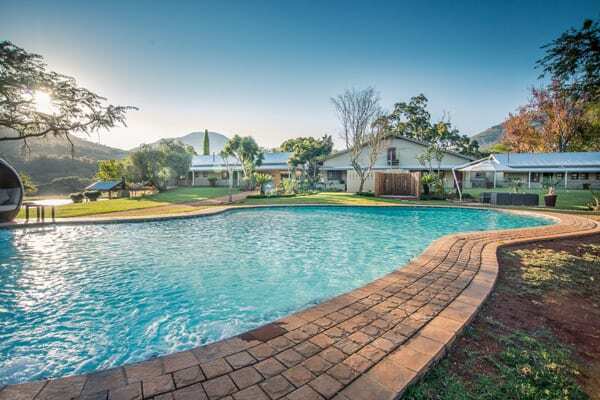 The lodge features a large heated swimming pool with Jacuzzi seats, a pool bar and a scenic wedding and events venue (Lapa). Up to 18 guests can be accommodated. The garden suites are suitable for single or double occupancy. Each has a comfortable and spacious lounge with a fireplace and private patio, a bedroom and an en-suite bathroom equipped with a shower and bath. All suites and patios overlook the gardens around the lodge. Our lodge rooms are designed to accommodate one or two guests. They consist of a spacious bedroom and a modern bathroom with shower and/or bath. The honeymoon suite is a spacious, beautifully designed room with a freestanding bath overlooking the dam. 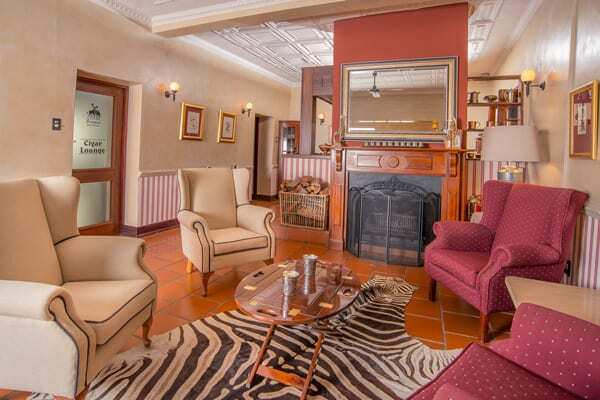 It also has a bathroom and shower, a walk-in wardrobe and a braai-fireplace on the private terrace. 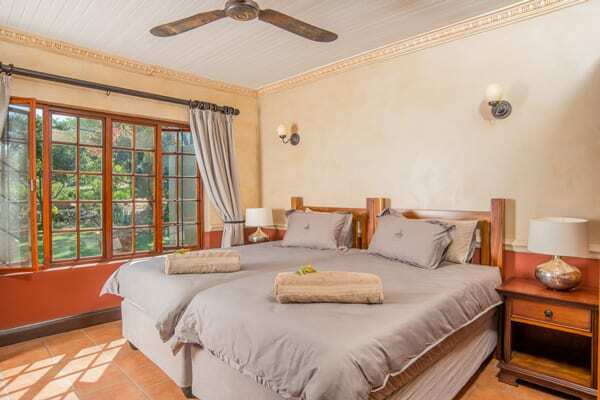 The freestanding villa is situated in the middle of the bushveld, a two-minute walk from the lodge. It has got two bedrooms with twin or double beds, a spacious, beautifully designed lounge with a fireplace, a large kitchen and dining area, a private heated pool, a sundeck, outdoor shower and firepit with magnificent views of the mountains. All rooms have king-size beds, Egyptian cotton bed linen, bathrobes, a mini bar, coffee and tea making facilities, a hairdryer, a safe and ceiling fans. They all have a private entrance leading into the garden and pool area. Rates include bed and breakfast and selected hot beverages. 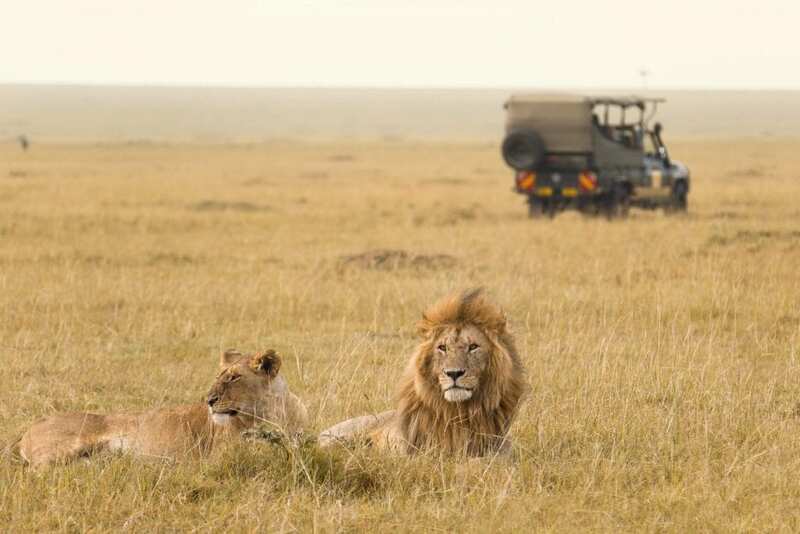 It excludes extra meals (can be pre-booked), all drinks and safari activities (game drive, bush walk/hike/fishing/star gazing). Extra activities can be booked through us as well: quad rides, horse riding, rock-climbing and abseiling, Panorama route day tours, Kruger tours, planting your own tree, and more.